What’s a girl to do all alone on her birthday? Go to a gin bar would be the correct answer. 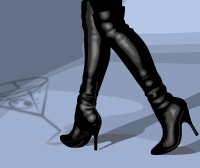 But wait, don’t cry for me…this is what I wanted to do. If I smoked, it would be gin and cigs, a louche night out swigging shots with which to face the age demons. As it was, it came pretty close – without the cigs – but I did, happily, taste about, I dunno, about ten different gins. I’ll start at the beginning. The Flintridge Proper is a gin bar, in La Cañada Flintridge, which as of 2010, ranks as the 143rd most expensive U.S. city to live in, with a median home price of $1,321,367. A nice little village nestled between the San Gabriel Mountains and Angeles National Forest on the north, and the San Rafael Hills on the south. So much for the geography. 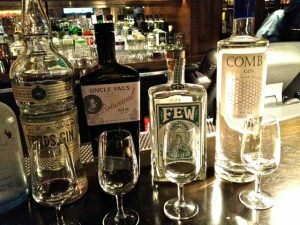 It’s a sweet, close getaway from LA and it has the world’s largest selection of gins. I’ll take their word for it. They do have other spirits but why bother…for now. It was a quiet sort of night back on a Monday in December, just the sort of night I wanted. The bar was pretty empty so I had it all to myself. 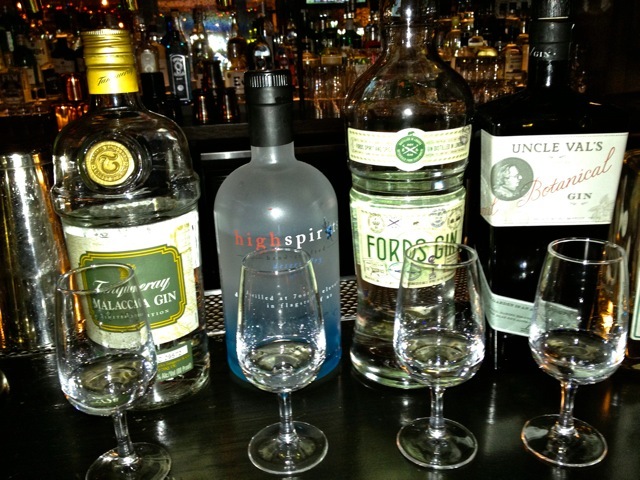 Tobias was the bartender extraordinaire, setting me up with my gin flights and guiding me through each and every one. Here are pictures of the bottles I tasted…looks daunting, right? It was delicious. Following are my inadequate tasting notes that got increasingly illegible as the evening wore on. Yeah, I know. And as I am not an expert, these are simply my palate impressions. 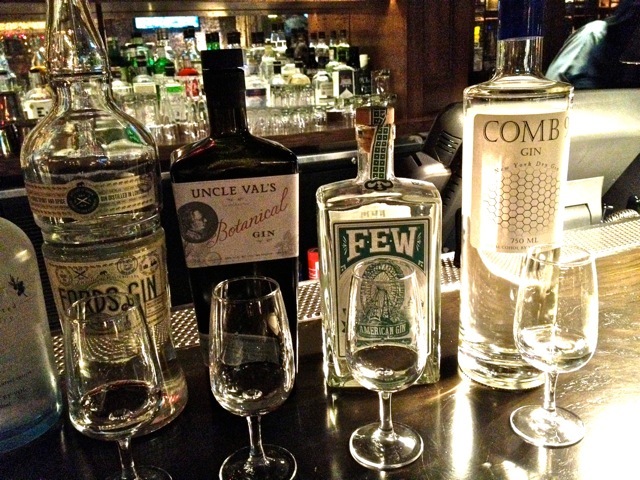 It took a while to taste and re-taste and discuss every one with Tobias…gin expert and good humor to boot. It’s toward the end of the evening, I’m winding down, eating a super good Farmers Market chopped salad when Bob, a regular, takes his place a seat away. An elderly gentleman, shall we say, fills me in on his life story, which, I didn’t write down and now, a month later, can barely remember. He offered to buy me a birthday drink, which was exactly what I didn’t need at that moment, and sadly declined. But he did leave me this tidbit which I could not verify but, still…”You’ve had enough, when someone steps on your finger.” He attributed it to Dean Martin. Why not? 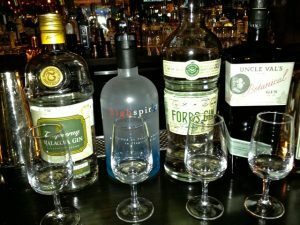 The Flintridge Proper is well worth the drive, away from it all, in a mall of all places but once you’re inside, the spirits – gin or otherwise – welcome you. See you there!